The College Archives contains materials dealing with the college from its start as a normal school to the present. Materials can be divided into two categories: historical and organizational. Historical items include photographs, yearbooks, school newspapers, scrapbooks, catalogs, ephemera and blueprints. Organizational materials, both past and present, include records of various academic and non-academic departments, organizations and groups associated with the college, as well as correspondence, faculty publications, course schedules and descriptions, policies, event programs and catalogs. The archives do not include personal student or personnel information. The archives are not open for browsing and any individual interested in viewing archival materials or needing information contained in the archives should consult library staff via email before coming to the library. 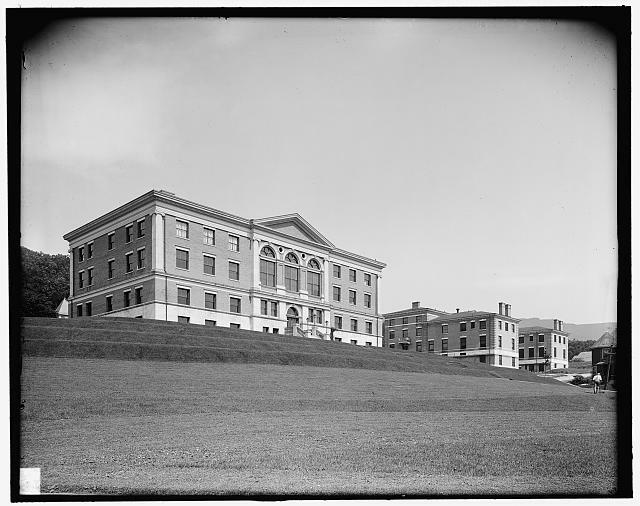 Massachusetts College of Liberal Arts was founded as the State Normal School at North Adams in 1894.